The cranes’ simulator, Simulift, improves the performance of the operator and helps him to work more safely, efficiently and productively. With Simulift you offer advanced and real trainings to your operators without using your machines, nor even putting your patrimony in risk with possible damage caused by operators who are still in formation. With only one fraction of the operational cost of real equipment, a single instructor may minister high level training for a whole group of students, following their progress individually and saving time and money! After passing through Simulift, they learn to work more safely, efficiency and economy, adapting to the features of each equipment. All of this helps to reduce the operational and maintenance costs. Using Terex’s Simulift integrated to the theoretical training, your operators get experience and professionalism to elevate the performance and productivity of Terex equipment even more at the construction site. Simulift offers a realistic training and allows the performance of several exercises, with sounds and movements similar to the ones in real equipment. This prepares the student to the situations where he or she may be with all its senses in alert, as it really happens in a daily basis. 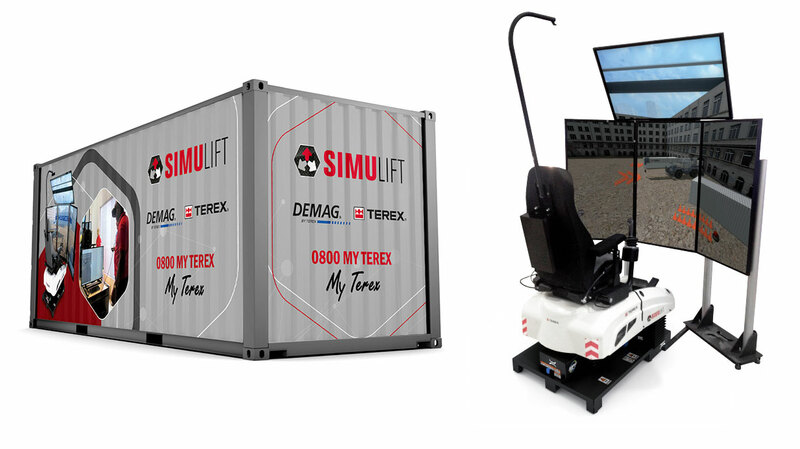 Terex’s simulator works as an important pedagogical resource which allows a step by step training for each operation, making the follow-up and assessment easier to the operator.